New Haven, Mo. - Earlier this week the Class 1 District 10 Baseball All-District Team was announced with three Shamrocks making the cut. New Haven, Mo - The Missouri High School Baseball Coaches Association (MHSBCA) voted New Haven Pitcher, Austin Madden, to the Class 1 Pitchers 2nd Team All-State, making him one of the top eight pitchers among Class 1 schools. Sturgeon, Mo – Garrett Schoenfeld took the mound for New Haven in Wednesday’s State Quarter Final against the Sturgeon Bulldogs. Schoenfeld had one of his best outings on the year, striking out seven while only walking one batter. Schoenfeld gave up eight hits on six runs, only one run was earned. Seitter dives head first into second after knocking in two runs on a one out double in the third. New Haven, Mo – New Haven scored 22 runs off 22 hints in Wednesday’s State Sectionals, pounding the Green Ridge Tigers in five innings. Austin Madden picked up is seventh win on the season and struck out seven, leading New Haven to a District Championship. We will have a complete story about New Haven's District Championship on Thursday. Congratulations Shamrocks! Blake Eggers knocks in two runs on a one out single, giving New Haven the lead. Austin Madden makes an incredible diving catch from the mound after snagging a line drive on the previous play, that was smoked back at him. St Elizabeth, Mo - New Haven jumped out to an early lead on Tuscumbia and captured a 13-0 victory Friday night in the Class 1 District tournament at St. Elizabeth. Drew Schwentker smokes a leadoff double to deep center field. New Haven, Mo – St. Clair handed New Haven their second straight loss Wednesday night, winning by seven runs. 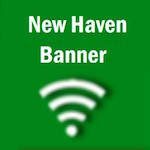 (9-2) New Haven committed five errors, giving second St. Clair six unearned runs. Photo taken after South Callaway game. New Haven, Mo - The Shamrocks will wrap up their regular season on Thursday and step right into post-season play on Friday. Austin Madden threw a complete game improving to 4-1 on the year. Union's Austin Bentlage was in the zone Tuesday night, throwing a no hitter and setting a new Missouri State Record for consecutive strikes in a single game. The previous record was held by Ryan Austin, from Hume when he struck out 15 in a row back in 2007. New Haven, Mo – New Haven came into last night’s game having lost five in a row and had gone scoreless in the last 20 inning. New Haven, Mo – New Haven had taken a beating from Pacific earlier this year, losing 14-1. Last night, New Haven suffered their third straight loss, falling bellow .500 (4-5) for the first time this year, in what was a questionable decision by the home plate umpire, calling the game after five innings of play due to heavy rain that began falling in the top of the fourth inning. Ross Seitter thrown out at home in the bottom of the fifth after Andrew Schwentker knocked a two out base hit to left field. New Haven, Mo – Friday night New Haven was handed their fourth loss of the season. Linn’s starter, Dalton Wolfe, pitched six scoreless innings, racking up nine strikeouts, and holding New Haven to just three hits. Bourbon, Mo – New Haven scored four runs in the seventh inning, coming from behind to steal a win in last night’s game at Bourbon. Schwentker went 3-5 with two RBIs in Wednesday night's game. New Haven, Mo – Extra innings and three hours later Wright City scored two runs in the top half of the ninth toping New Haven 6-4. It is hard to believe that baseball season is underway. During most games you will be able to keep track through our live streaming scoreboard at the top of every page. Pitch by pitch, play by play, and what the scores is through our real-time sports stats. Tip: Click the small arrow in the bottom left of the window to begin listening live.